New Delhi, Metro Rail News: Union Railway Minister Shri Piyush Goyal has presented Railway Budget for the financial year 2019-20 Today. The Govt. has made several announcements for railway passengers in the budget. Let’s know what the people who travel in the railway have got in the interim budget of 2018-2019. 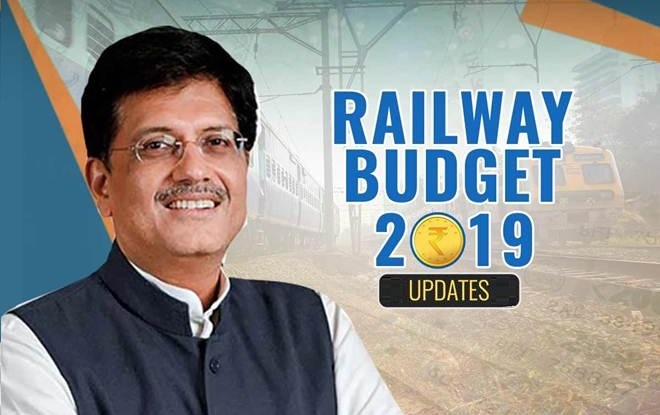 Goyal said, ‘In the Budget allocation to Railways, Rs 64,587 crore has been given for the financial year 2019-20.’ He further said, “In fact, the total capital expenditure of the Railways will be Rs 1,58,658 crore, which is historic.” Goyal also said that the operating ratio of the railway will be reduced to 95 percent in the financial year 2019-20, whereas in the financial year 2018-19 it was 96.2 percent.